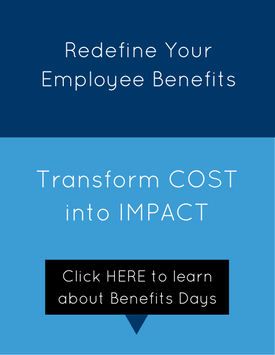 Employee Benefits That Drive Value & Engagement | CBSI Customized Benefit Solutions, Inc. Your employees are your biggest, most important asset. You cannot do what you do without them. So, the question we’re asking you today is, are you investing in them, and how do your benefits impact their lives? Many employees have been desensitized to the value of health benefits through decades of standardization. Most who receive benefits through their employers don’t realize the real value of their programs or how to maximize them. Your benefits are an incredibly powerful tool for retention, engagement, satisfaction, and recruitment. Studies have shown that education around your employee benefits is more important than the actual benefits themselves. Simply, it means that comparable plans are perceived differently based on the education your employees receive. In response, we created a unique service called “Benefits Days,” so they will know how to use their benefits when they need them. They will also make better choices about their individual plans, and they’ll appreciate the value and care that comes with working for your company. Learn more about Benefits Days with a free consultation today! Check out some of the services we offer to businesses that are looking to provide great value for their employees without breaking the bank. Our tailored benefit solutions result in sustained customer and employee satisfaction.